Click on cartoon for more darkness! Greetings, Dark Knights and Dim knaves! Back on schedule! Sorry we were late last week! 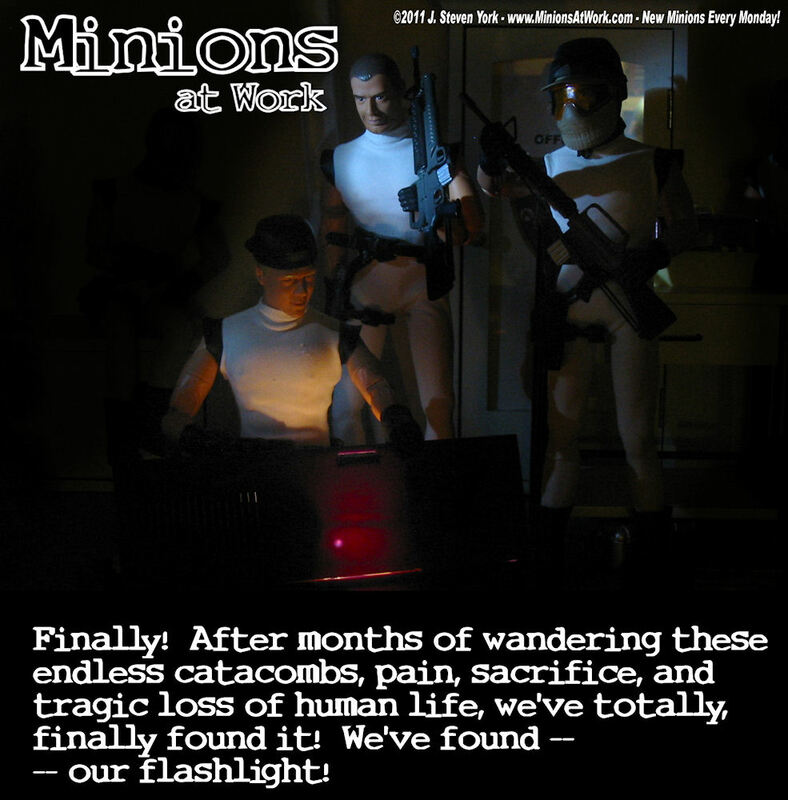 Hey, if you aren't already, get your regular updates from the lair and Minion reminders direction from Minion No. 1 by following his Twitter feed! Not on Twitter? It's free, easy, and fun, and it's full of cool people to follow and interesting and fun information, as opposed to the noisy three-ring-circus that Facebook has turned into! Hey remember, when you click through our Amazon links and ads and buy something, even if it isn't one of the items we link, we get a little piece of the action that helps support our evil activities here at the lair. So think about us next time you plan to do a little on-line shopping! Remember, it's like highway robbery, except you aren't the one getting robbed! See you guys back here at the Lair, same time next week!